“If all your friends jumped off a cliff, would you do it too?” Most of us heard that quip from our parents at least once during our childhoods, and most of us probably scoffed. But when it comes to marketing trends, Mom’s old advice may have some merit. As 2019 approaches, there are plenty of marketing bandwagons to jump on — but not all of them will be right for every organization. Can you remember the last time you went an entire day without running into an ad? With all the marketing clutter, brands are having to find new ways to make an impression — and for many, the solution is creating meaningful, memorable experiences for their audiences. According to the 2018 EventTrack report, after participating in an event or experience, 91 percent of consumers have more positive feelings about a brand, and 85 percent are more likely to make a purchase. From events and interactive displays to augmented reality programs that allow customers to experiment with products before making a purchase, experiences help brands build trust and connect with their audiences in ways traditional ads simply can’t. Skipping digital marketing is so last year (or maybe more like so 2000). 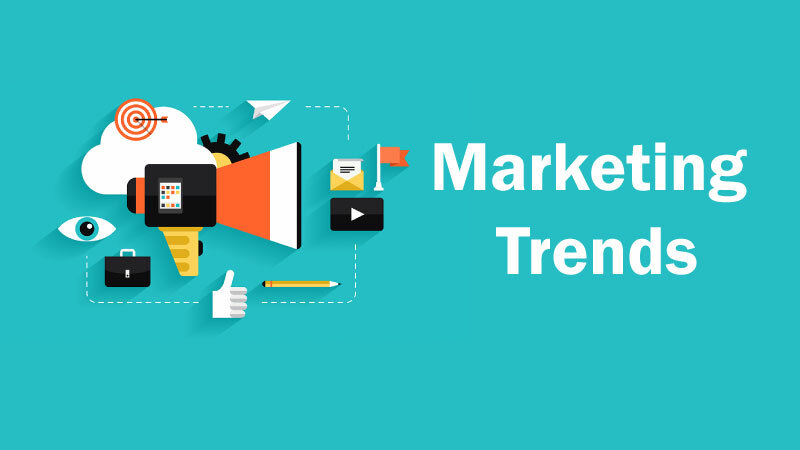 While digital marketing is certainly not a new trend, it’s one that’s only going to continue to grow in 2019. According to Pew Research Center data, more than 95 percent of adults age 18 to 49 use the internet. When it comes to use of other popular advertising outlets, such as print publications and live television, the numbers are much lower. The takeaway? If you haven’t incorporated digital marketing into your strategy, you’re missing out on a huge opportunity to reach your audiences. Digital marketing is often one of the most cost-effective ways to get your brand in front of a large number of people who are likely to be interested in your offerings. Digital campaigns give you the ability to create highly targeted campaigns, and even reach people who have already shown an interest in your products and/or visited your website through retargeting/remarketing. This helps ensure you don’t waste your budget on audiences or regions that aren’t relevant to your goals. And it also gives you access to a wide variety of metrics to help you compare the performance of different creative approaches, learn more about your audiences’ behavior and tailor future campaigns to be even more effective. Regularly testing and analyzing various digital marketing efforts not only allows you to budget more effectively, but also provides you with valuable insights into your audiences’ preferences and behaviors. A long time ago in a land far, far away, when people wanted to shop, most of the time they had to actually physically go to a business. But then, the internet put all the information we needed right at our fingertips, transforming just about every aspect of the shopping and buying process. And now, thanks to voice technology — like Siri, Alexa, Cortana and Google Assistant — fingertips aren’t even necessary to make a purchase. According to Pew Research Center, nearly half of U.S. adults now use voice-controlled digital assistants. As these numbers continue to rise, organizations will need to adapt their marketing efforts accordingly. For example, the phrases people use in voice searches are often different from the keywords they’d type in — and as search engine algorithms continue to adjust to this pattern, SEO strategies will have to change as well. If there was a pile of papers on the table in front of you, would your eyes naturally gravitate toward the one with colorful graphics or the one with plain blocks of black text? If you picked the colorful graphics, you’re not alone. Research shows that 91 percent of buyers prefer visual and interactive content over traditional formats. Visual content — such as infographics and videos — tends to be more eye-catching than text, and it can also help your audiences understand and recall your messages. In fact, according to a survey by Wyzowl, 85 percent of people said they wanted to see more video content from brands. Of course, that isn’t to say you should do away with written content entirely. For example, well-written blog posts can help improve organic SEO, demonstrate your knowledge and boost your organization’s credibility. And when combined with effective visuals, written content becomes even more powerful. If you were browsing the internet and an ad popped up for a product you’d never even dream of buying, you’d probably ignore it and maybe even feel a little annoyed. But if you saw an ad for a discount on a product you were already planning to purchase, your response would likely be much more positive. This is why marketing personalization is key. In a survey by Epsilon, 80 percent of respondents said they are more likely to do business with a company if it offers personalized experiences — and, fortunately, we now have the technology to accommodate this preference in practical, cost-effective ways. Marketing automation software allows us to create customized email campaigns for individual members of our audiences based on how they have interacted with past content. And digital advertising platforms allow us to show different ads to different people based on their internet searches, location, interests and beyond. Of course, as we forge ahead with the marketing trends of the future, it is important to remember that some things never go out of style. For example, there is still tremendous value in implementing public relations (PR) efforts, keeping your website up to date and user-friendly, and adding personal touches — such as handwritten notes and in-person visits — to your campaign. So, whether you’re trying out the latest trends or sticking to a tried and true approach, remember that the most effective marketing campaigns are those driven by an informed strategy that listens to and empowers your target consumers.